an 11 year old boy who is a mechanics expert and Gene's partner. The main character who likes to shoot thins and loves women. The Outlaw Star's onboard computer. 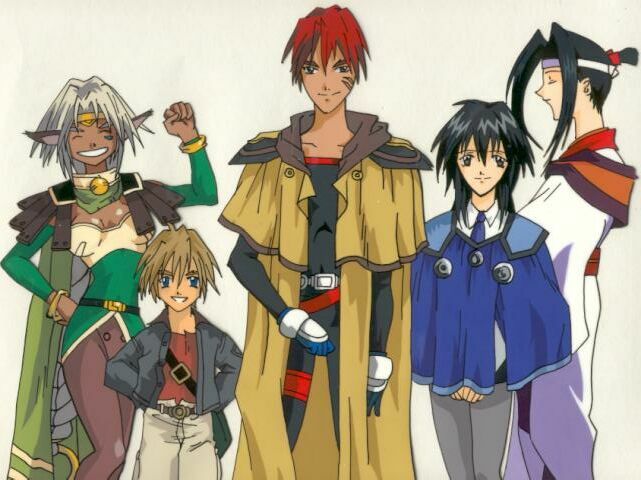 The Outlaw Star's pilot who stands in a pool of gel.